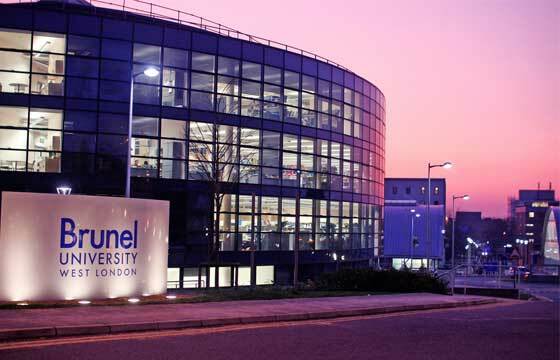 Brunel is a campus-based university situated in Uxbridge, West London, and is home to nearly 15,000 students from over 100 countries worldwide. Founded in 1966. The student community includes an international student contingent some 1,600 strong, drawn from 110 countries. Most of them return home as Brunel graduates to practise their professions and spread the good name of Brunel around the world. The 2008 Research Assessment Exercise (RAE) judged 82% of research to be of international standing. Brunel graduates enjoy the 13th highest starting salaries in the UK, according to the recent Sunday Times Good University Guide. Their average salary of 22,323 pound is almost 3,000 pound more than the national average. Brunel's modern campus is a single secure area in west London that offers a perfect location for exploring the capital and further afield. The campus has seen 300 million pound of development in the last few years with a new flagship building still to come. There are over 4,500 rooms on campus, over 90% of which are en suite, all rooms have internet access and we also have rooms for couples. First year Undergraduate and Postgraduate students are guaranteed a room on campus. The University is only a 15 minute drive from Heathrow International Airport and is directly connected via local bus roots, making it easy to visit home. The campus offers a full range of facilities, including a 24 library and computer rooms (term time) shops, food outlets (serving Halal and vegetarian food) prayer rooms and nightlife. Excellent public transport links, and the nearby town of Uxbridge offers a good range of shops without the London crowds. These prestigious awards are open to anyone who has been offered a place for a full time course at Brunel. They attracted over 600 applicants last academic year.